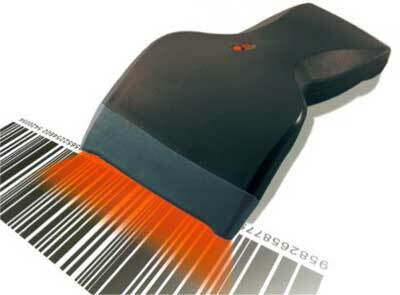 Think about the world of bar codes and scanners. What was life like before their invention? This post offers an appreciation for this staple of modern retail life. 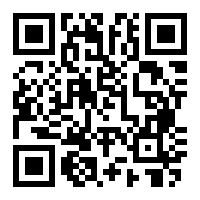 Give the barcode its due. 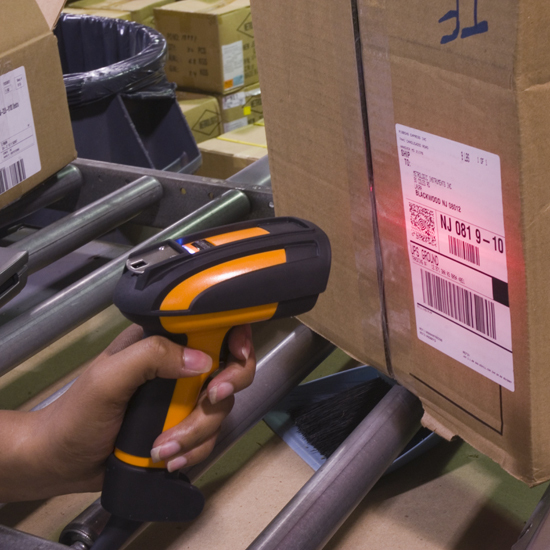 The widespread deployment of barcodes and scanners reduces the costs of keeping accurate and timely inventories. It happened quietly in the last few decades and had numerous consequences. Think about it. The number of products on the shelf of a typical retail store has increased by tens of thousands. The accuracy of cashiers has increased tremendously because the cashiers do not have to pause to read the price tag. Firms keep better inventory so the frequency of stock-outs — missing items — also has declined. More to the point, all of that happened because somebody took the time to develop the bar code. Somebody made effort to get everyone in the industry to invent the equipment to take advantage of barcodes. Among the influential people in that effort was a fellow named Alan Haberman. He passed away last week. I never knew the man, so I cannot wax eloquent about his life. But I know something about bar codes, as well as the economics of value built around such symbols. Modern life could not exist without them. That is why this post is not a eulogy. It is an appreciation. It would be an exaggeration to say that barcodes set me on my life’s intellectual path, but they were an influential example when I was a fledgeling and impressionable scholar. The bar code was one of the three canonical examples of the new era unfolding before us in the 1980s, a world of new standardization and increased interoperability. (VCRs and PCs were the other two). Those three examples, as well as a few others, did motivate my interest in the economics of this phenomenon. As readers of this space know, I have stayed here because new examples arise all the time, and in such diverse areas as WiFi, travel intermediaries, the MP3 player, smart phone, and in many places online. Alright, maybe I am (a little) nuts, but read on. In appreciation to Haberman’s life’s work, this is an opportunity to wax on a bit about the joys of the scanner economy. Once you begin to recognize the economics of bar codes, you realize that these economics are everywhere. I hope you find this interesting, illuminating, and a little amusing. Every modern grocery store has two networks embedded in it. One is a local area network, and the other is a virtual one. 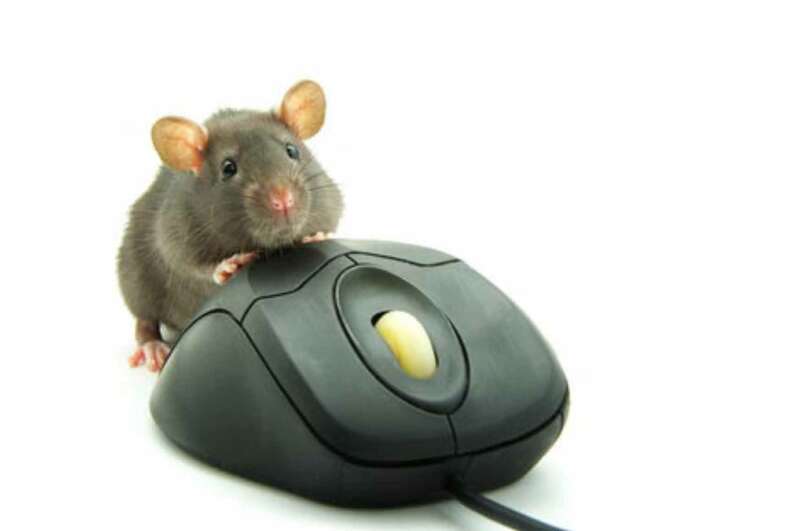 The local area network has an obvious role. 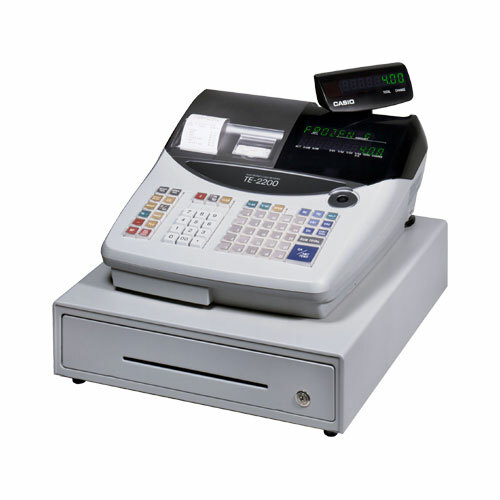 It takes the information from the scanners at the registers, and sends it to a computer that keeps inventory and sales records. The virtual network has more nuanced features. Grocery score scanners and bar codes are part of an interoperability network. Interoperability networks focus on enabling component parts of a system to operate successfully together. Now for a bit of economics. Platforms get built around interoperability networks. A platform in computing is a reconfigurable base of compatible component on which users build applications. Within computing platforms are most readily identified with their technical standards, i.e., engineering specifications for compatible hardware and software. Platforms play an interesting economic role. Platforms are often identified with the their economic function, namely, their role in mediating the experience between participants with distinct economic motives for participating in the platform, such as application developers, users, advertisers, intellectual property holders, and so on. To say it more practically, the bar code emerged to solve an interoperability problem for several different constituencies. 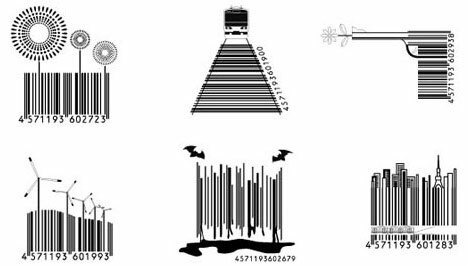 Here is the common narrative for how barcodes emerged. 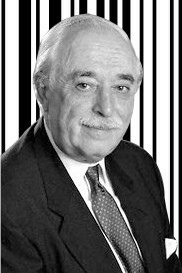 Way back in the dark ages, before anybody had invested in scanners, multiple large vendors of packaged food faced calls from multiple large retailers, asking them to embed symbols on their boxes to enable advances using computing technology in inventory management and point-of-sale software. None of the manufacturers (sensibly) wanted to see multiple symbols on packages, with each symbol satisfying another major retailer. The surface area on a typical package was too precious. So the grocers and packaged good manufacturers decided to choose one set of symbols. They held a contest among many potential designs, and, as it turned out, they chose IBM’s submission, which we still use today. Let’s consider why they chose one set of symbols and not many. The common narrative actually leaves out some detail. 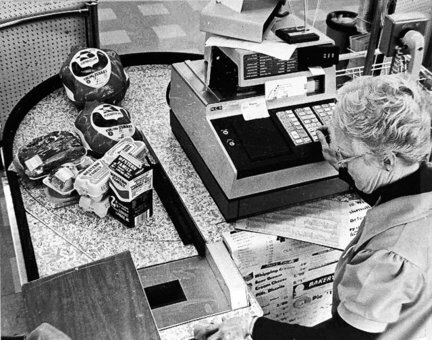 One set of symbols shaped the activities of everyone in this ecosystem, packaged food manufacturers, groceries, the makers of scanner equipment, the makers of inventory management software, and eventually, grocery shoppers. IBM’s was not obviously the best technical choice, but their presence helped assure many others that the value chain would emerge, and so on. That is what we got because the grocers took the initiative and choose first. That is where Haberman comes into the picture. At the time somebody had to get it started, hold a contest between alternative suggestions, and move the industry along. That involved conducting discussions, convening industry-wide committees, and updating plans as everyone learned from experience. Haberman was one of those key people managing the entire process. You can read more about him here and here and here. There are two economic gains to interoperability networks. First, there is a coordination gain, that is, a gain from coordinating around a single set of technical standards. For example, at the time packaged food manufacturers, grocery retailers, the makers of scanner equipment, and the makers of inventory management software benefited from working with the same technical standard. Their efforts were not at cross-purposes, and though each worked with some independent discretion, allowing them to specialize, when it was all done the system worked as a whole. Today we take this type of coordination for granted, and in many contexts. 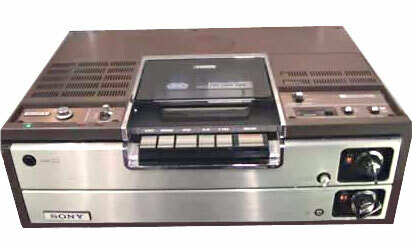 VCR players work with DVDs. Game consoles work with games. Users of the iPhones access apps from developers who use the iPhone protocols. So do Android users and developers, and so on. Second, and related, it is unlikely that the market would have supported more than a few platforms in settings such as prevailed in groceries. In many respects, this second observation is almost a restatement of the previous paragraph. In technological competition, a larger network will create more value than a smaller one, which will induce many application developers and users to use the large one and avoid the small one, if possible. This second observation about the (un)sustainability of multiple platforms depends on several other factors, so generalities are elusive. Experience has shown that is matters whether users and applications developers find that multi-homing (i.e., maintain economic relationships with multiple platforms) is expensive. Less multi-homing tends to contribute to fewer sustainable platforms in a competitive contest, for example. This just restates something that was obvious at the time. 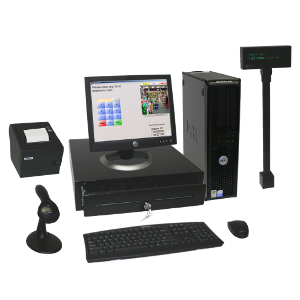 It was prohibitively expensive to maintain multiple scanners at a register using alternative technologies, for example, and most packages have limited space available for new designs. It is not surprising, therefore, that one bar code emerged for that instance. But what about the timing of these events? It was well known that the idea of the bar code had been invented decades earlier. Why did it take so long to get the platform off the ground? Some parts of the answer are obvious. There is a difference between invention and adoption, and the former does not imply the latter. Said simply, it often takes time to translate inventions into viable products that users can afford. Just because somebody had the idea for a bar code in 1949 (and filed a patent for it) does not imply that manufacturers of such equipment could make a scanner cheap enough to install in grocery stores all over the country. That is not a complete economic explanation, however. The full answer in this instance is more subtle. In this instance the new product’s value was not isolated from the presence of other pieces. 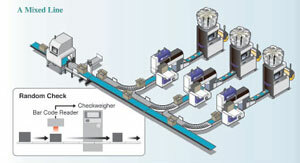 After all, what good is a scanner without the appropriate software for maintaining inventory? 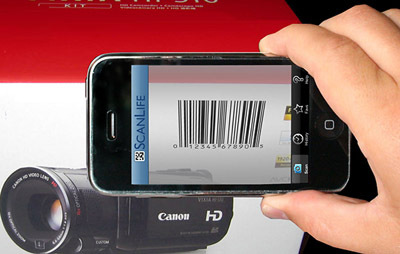 And what good is a scanner if most of the products lack barcodes? It made sense for a grocery to adopt scanners only if it was part of a widely adopted platform. In other words, it often takes time to translate inventions into viable platforms because multiple parties have to act, and the economic viability of the whole can be held up by the weakest link in the chain. Here is an interesting note on this experience. A economics professor at the University of Missouri, Emek Basker, has gone back and collected data and calculated the productivity gains going to the stores that adopted scanners earliest. In short, she has figured out whether the early adopters got their money’s worth. Basker deserves accolades for doing this work. Knowing whether the bar-code scanner paid off for early adopters does not fundamentally change life as we know it, but it does help answer a long standing puzzle, why this platform did or did not emerge at the time it did. What did she find? There were productivity gains, to be sure, but there were big expenses too – especially for the scanners. In the early days those were still new and expensive, and retail groceries bore those costs entirely. Overall the costs washed out the gains, especially in the early years. Boy, is that ever interesting in light of what eventually happened. Nobody doubts that it all worked out eventually. The bigger groceries did eventually get real big. The platform did become pervasive and almost ubiquitous. And many firms have taken advantage of the advances. Just look at the firms who have really figured this out, such as Walmart or Amazon. Society does reap the gains from the efficiencies. Now we have framed the big question. There are two classes of explanations for why a platform takes its time getting started, even when it eventually succeeds, like this one did. One set of explanations stresses coordination problems. That is, actors have a hard time agreeing on a design decision and that slows adoption. These explanations stress that successful platforms require the participation of many firms, who participate for heterogeneous reasons. Rivalry may prevent firms from cooperating, or bargaining issues may prevent it, and so on. A second class of explanations stress that successful platforms often lack profitability when they are young. Even though the payoff to society may eventually be great (as it was here), private firms have little incentive to experiment, or begin helping manufacturers of equipment get down a learning curve. After all, adopters do not care whether everybody else can benefit from that experimentation and learning at a later time. They care about only their own bottom line. Basker’s results suggest the latter explanation is consistent with what happened. Here is why. It did not work out so well or so badly in the short run for the pioneering groceries, even the biggest among them. Basker does not find much evidence that anybody lost huge amounts of money, but there was no great payoff either. The private gains were rather diffusely distributed to many participants. In short, society’s future gains likely played no role in motivating early adoption. The challenges of making profitable use of scanners did. To summarize, it sure does not look as if coordination issues slowed down design and adoption of barcodes and scanners. Instead, the lack of profitability for early adopters held back developments, slowing society’s travel down a path that would eventually payoff in large ways. Now back to the big picture. Economics offers many hyper-rational explanations for how platforms develop, typically stressing the role of profitability in determining timing. Don’t get me wrong: there must be a big grain of truth to these explanations. After all, it fits the facts in a canonical case, the grocery business, which is a low margin business with little margin for error. Were private firms too optimistic or overconfident? Did managers play with their new toys, and boast to others in the industry about their stores on the new-fangled frontier? Sure, but anybody who ignored profitability when investing in expensive new technology, as scanners were several decades ago, would have gone bankrupt. Yet, that does mean there is no role for human judgment and administrative initiative and managerial vision. Almost always stories about new platforms include somebody with vision at the center of them, somebody with the force of personality to crusade in favor of the platform and get it done. In this case, that is Alan Haberman. And we are all better off because of his efforts. Very nice! I do have one little question about the timing of scanning’s arrival: I’m wondering if it took a favorable court opinion, or at least perceptions of a possible court opinion, to convince all the stores and possible scanner manufacturers that this degree of cooperation was legal. It’s awfully easy to imagine an alternative universe where scanning was proposed but floundered because of anti-trust prosecution. Might I guess that the way bar code scanning is presently implemented — the code provides an item ID number but not a price — is somehow related to allievating anti-trust (and no doubt other) objections? Stephen Brown’s excellent book, Revolution at the Checkout Counter, describes early dealings with the Federal Trade Commission. Barcode developers kept the lawyers at the FTC appraised at all times, meeting regularly with FTC lawyers and letting them know what they were up to. In return, the FTC did not pursue any legal action against the industry. I just discovered your blog today, and it is very interesting and informative. Some real good insight into how things work! As you have written about the internet and information and what not, to me your blog itself is a good example of high quality information on interesting but not necessarily mass market topics being provided to interested parties. Thank you for your blog!!! 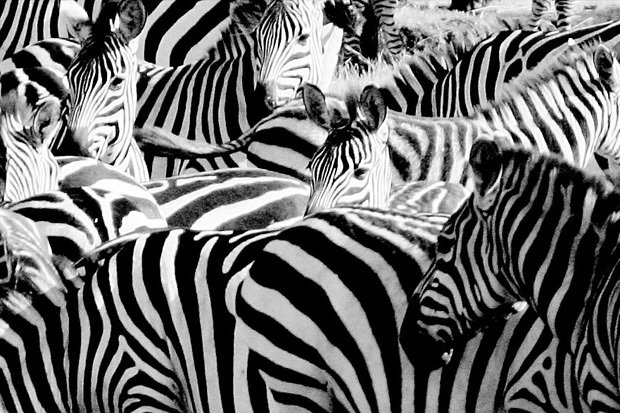 why would there not have been a patent filed on barcodes? and if there had been, would that have changed the economic outcome?